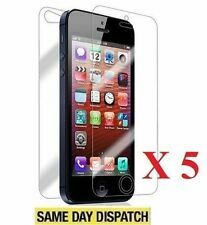 TEMPERED GLASS SCREEN PROTECTOR PROTECTION FOR APPLE IPHONE 5C 5S 5 SE. 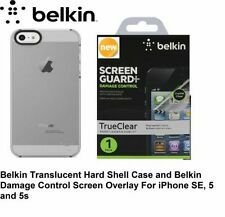 This tempered glass screen protector fo Apple iPhone is a must-have for anyone prone to constantly dropping their phone. The screen protector fits perfectly over the phone to prevent scratches and absorb shocks. CASE FRIENDLY TEMPERED GLASS SCREEN PROTECTOR FOR SAMSUNG GALAXY S9 ONLY. 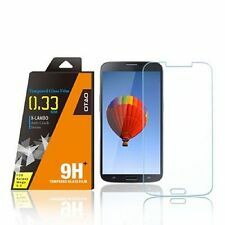 SAMSUNG GALAXY S9 TEMPERED GLASS SCREEN PROTECTOR. Designed just for the Samsung Galaxy S9 Only. 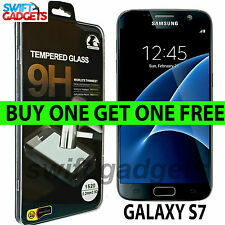 1 x Tempered Glass Screen Protector For Samsung S9. BUY ONE GET ONE FREE! * SAME DAY 1ST CLASS DISPATCH! This tempered glass screen protector fo Apple iPhone 7 is a must-have for anyone prone to constantly dropping their phone. The screen protector fits perfectly over the phone to prevent scratches and absorb shocks. ※ Strong Self-Adhesive - Attaches Firmly - Won't Affect Touch Sensitivity ※ Easy to Adhere to the Screen. ※ Luxury Screen Protector. Oleophobic Coating. ※ Easy to Clean ※ Prevent Fingerprints, Oil, Dust & Other Stains. For Apple iPhone Xr Screen Protector Best Tempered Glass Thin Protection. 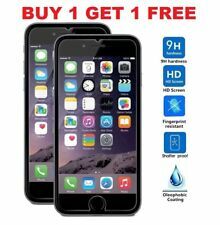 2x Tempered Glass Screen Protector For apple iPhone Xr. When inside a pocket or bag, your Apple iPhone could easily pick up scratches on its most important feature - the screen. A number of screen protectors can harm the responsiveness of your screen. When inside a pocket or bag, your Apple iPhone could easily pick up scratches on its most important feature - the screen. However, the Anti-Shock Tempered Glass screen protector will help to protect your screen from picking up these scratches. Compatible with Samsung s9 Plus not for S9. CASE FRIENDLY TEMPERED GLASS SCREEN PROTECTOR FOR SAMSUNG GALAXY S9 PLUS ONLY. SAMSUNG GALAXY S9 PLUS TEMPERED GLASS SCREEN PROTECTOR. Designed just for the Samsung Galaxy S9 Plus Only. This tempered glass screen protector fo Apple iPhone 6S & 6 is a must-have for anyone prone to constantly dropping their phone. The screen protector fits perfectly over the phone to prevent scratches and absorb shocks. ※ 9H Surface Hardness Effectively Protect Screen From Scratches & External Shocks. 9H Surface Hardness. ※ Luxury Screen Protector. Oleophobic Coating. ※ Strong Self-Adhesive - Attaches Firmly - Won't Affect Touch Sensitivity ※ Easy to Adhere to the Screen. For Samsung Galaxy S9 (the smaller version of the phone). This screen protector is made of TPU (thermoplastic polyurethane) not glass. Apply the small top part ensuring the protector is 100% aligned. For Samsung Galaxy S8. Screen Protector For Samsung Galaxy S8. Screen Protector. This screen protector is made of TPU (thermoplastic polyurethane) not glass. Apply the small top part ensuring the protector is 100% aligned. SAMSUNG GALAXY S7 Edge TEMPERED GLASS SCREEN PROTECTOR. Designed just for the Samsung Galaxy S7 Edge. We does not accept any responsibility if you ruin your protector due to not applying it correctly such as any air bubbles or dust creeping underneath the glass or if the protector does not stick due to you not cleaning your screen properly. BUY1 GET 1 FREE Pack of 2✔1st Class✔Apple iPad Pro 9.7"
Made with chemically treated, transparent tempered glass with silicon adhesive to keep it in place. This screen protector is adhered to phones with a silicon adhesive to keep it in place. Easy to fit and removeThe screen protector has an “Oleophobic” coating, which prevents fingerprints and other contaminants which makes the screen protector easy to clean. This is Case Friendly Tempered Glass for Samsung Galaxy S10 not S10 Plus. -------------------------------------------------------------------------------------------- We does not accept any responsibility if you ruin your protector due to not applying it correctly such as any air bubbles or dust creeping underneath the glass or if the protector does not stick due to you not cleaning your screen properly. 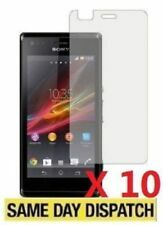 100% GENUINE TEMPERED GLASS SCREEN PROTECTOR PROTECTION. Genuine Tempered Glass. FOR APPLE iPHONE 6 PLUS and iPhone 6s PLUS. This screen protector is adhered to phones with a silicon adhesive to keep it in place. For Samsung Galaxy J3 Tempered Glass Screen Protector. 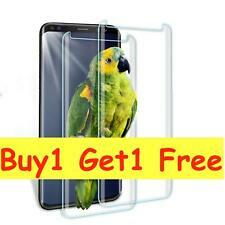 -Tear off the release film from the Tempered glass. Then lay the Tempered glass down slowly. Anti-shatter tempered glass : If broken, the glass cracks into small pieces that are held within the film. Tempered Glass Screen Protector For Apple iPhone X-XS. 2x Tempered Glass. Bubble free installation and ultra thin to fit. High definition transparency film ensures maximum resolution for display. 100% New with High Quality Material. 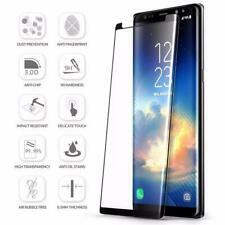 This is Full Face 5D Full Coverage Tempered Glass for Samsung Galaxy S8 Plus not for S8. SAMSUNG GALAXY S8 Plus Black TEMPERED GLASS SCREEN PROTECTOR. Designed just for the Samsung Galaxy S8 Plus Clear edges. FULL SCREEN Face Curved TPU Screen Protector Cover for Samsung Galaxy S7 Edge Black. New Samsung Galaxy S7 edge TPU Full Screen Protector Ultra Clear . This is a ultra clear and anti scratch original TPU full screen protector for Samsung Galaxy S7 edge A great saver from scratches. 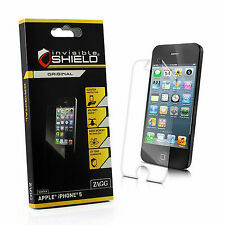 New Technology 3D Curved "FULL GLASS" Tempered Glass. It will stick on your device perfectly. The hardness of this tempered glass is 9H which is perfect for Rounded Glasses. Designed to absorb the impact of a drop and scratches on your screen.